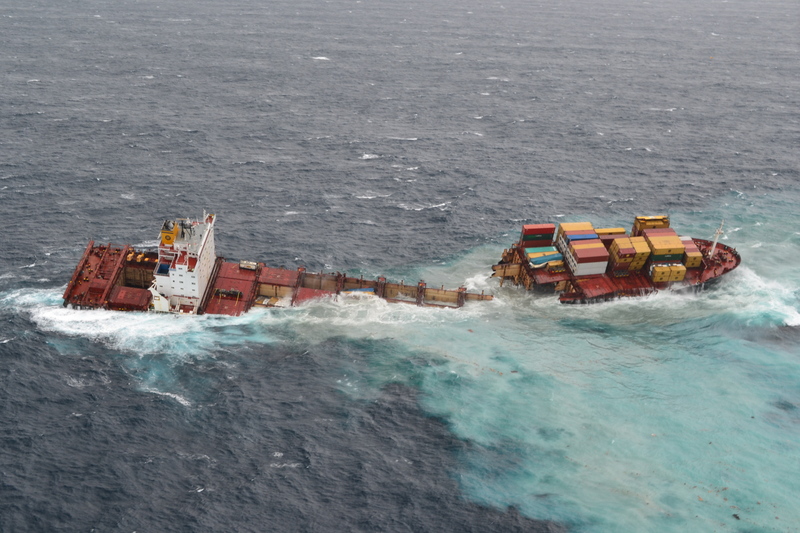 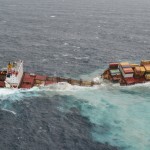 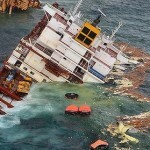 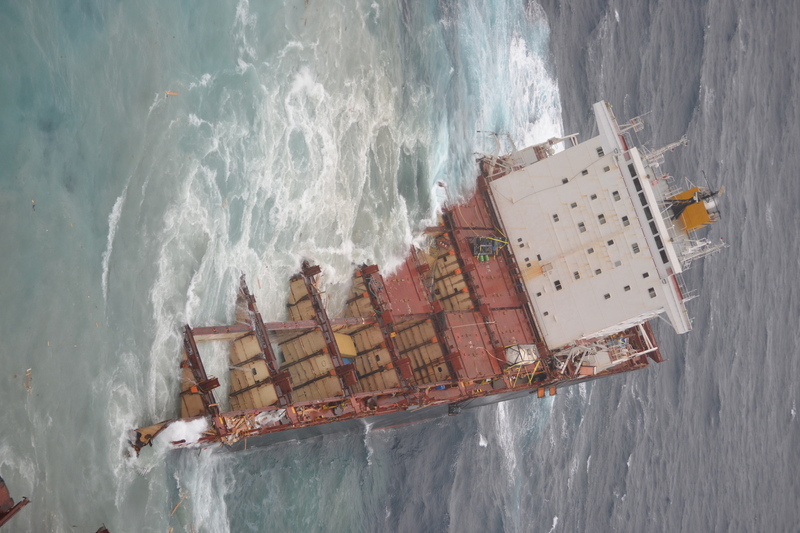 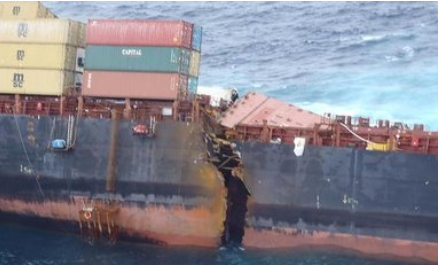 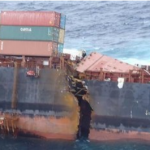 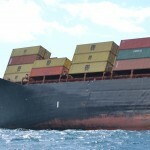 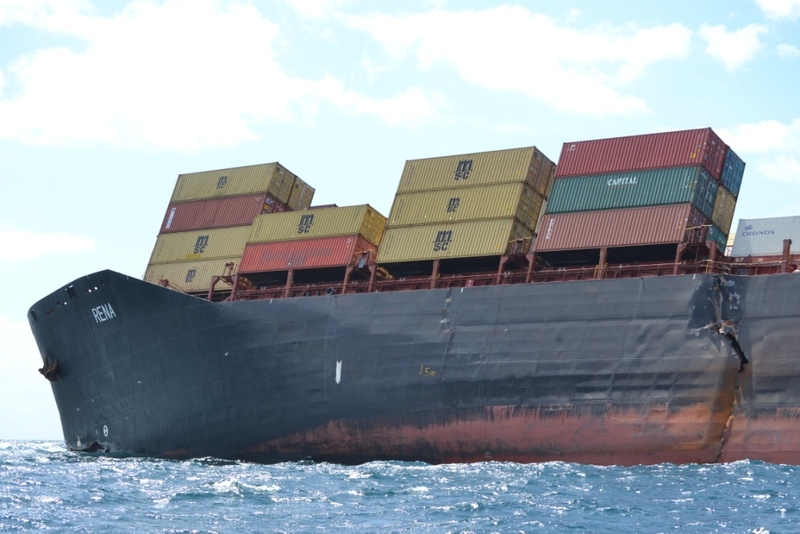 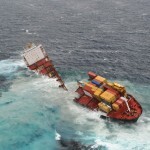 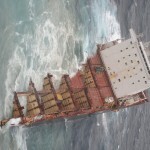 The stern section of the container vessel Rena finally slipped off the Astrolabe reef and sank. 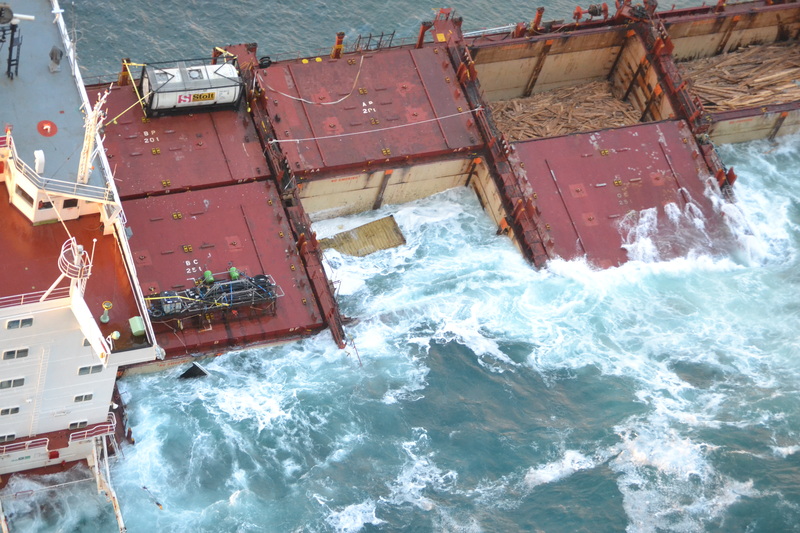 Last report shows just the foremost section of the stern awash in the swells. 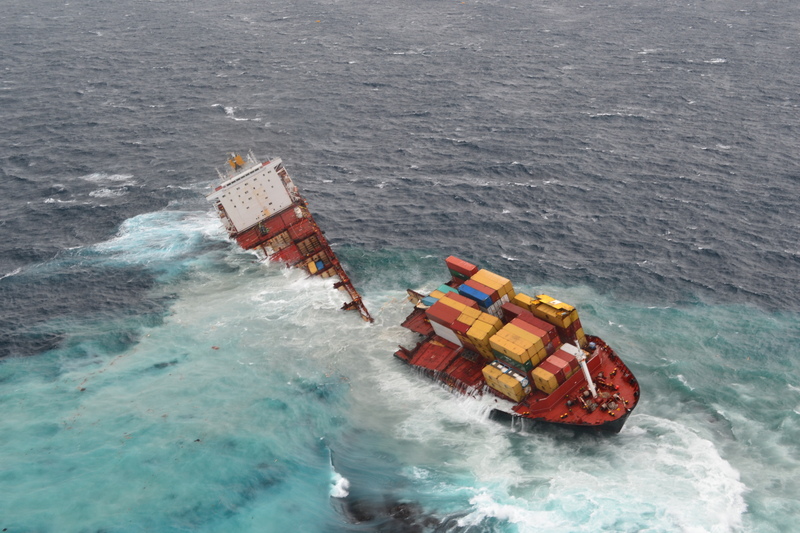 Salvage tugs attempted to control which direction where the stern was sinking, but the stern sank before any action could be taken. 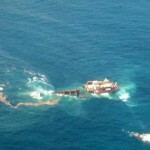 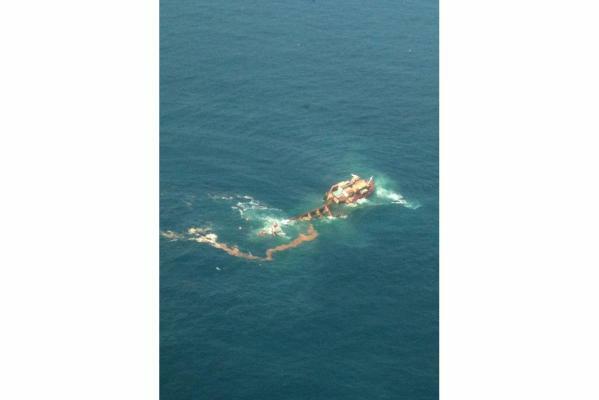 The bow section still remains firmly on the reef. 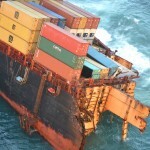 Debris remains to be the largest issue. 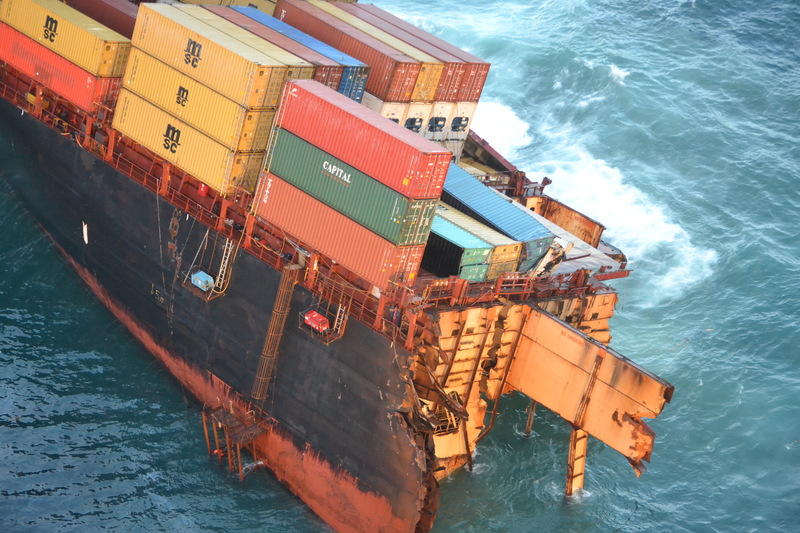 Large number of containers have reached the beaches on Matakana Island and Waihi Beach. 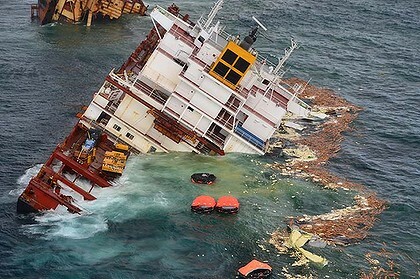 The shoreline is covered with plastic bags of milk powder, recycled paper, timber and oil. 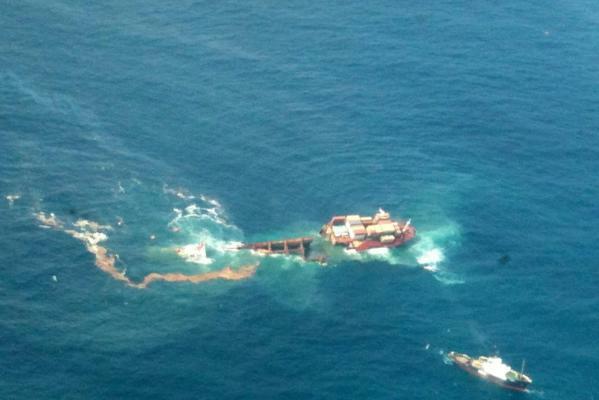 The remaining oil trapped deep in the stern section was released and a slick has formed around the reef. 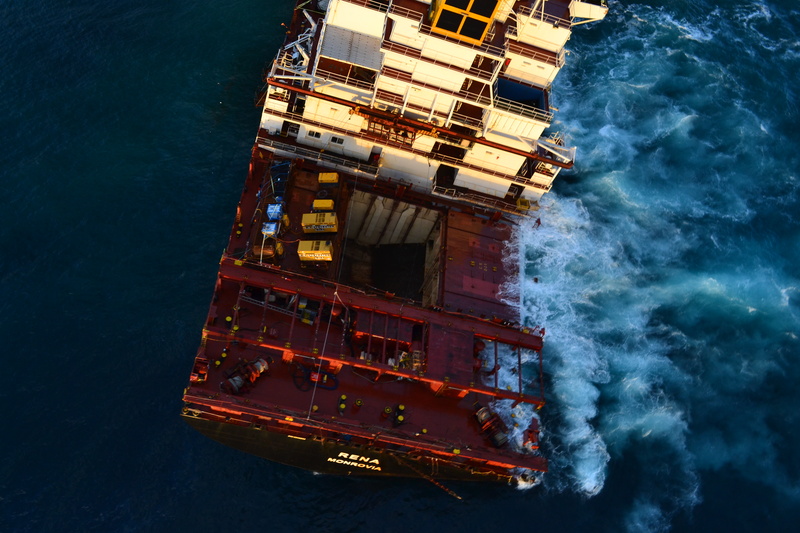 Reports state oil was removed off the beaches around Mount Maunganui, Main Beach and Leisure Island. 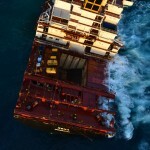 Photo: Maritime NZ. 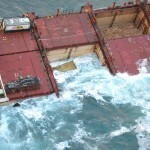 View as of Jan 1.